The Bucs honored fullback Mike Alstott, one of the most popular players in team history, during a news conference Thursday announcing his retirement after a historic 12-year career. A visibly emotional Alstott said he dreamed of becoming a professional football player since childhood. "It's hard to stand in front of you today and say that dream is over,'' he said. 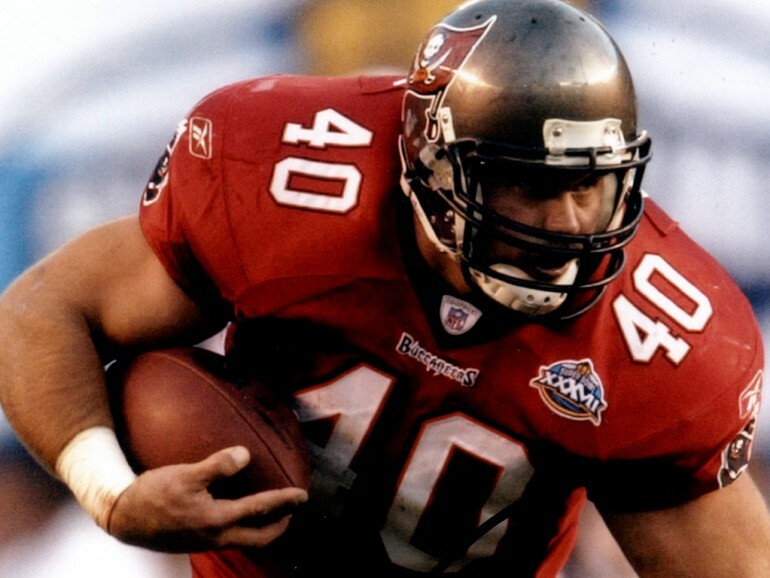 Alstott, a second-round draft pick out of Purdue in 1996, was known for his love of the game and punishing running style. He leaves the game as the Bucs' all-time leader in touchdowns (71) and rushing touchdowns (65). He made six Pro Bowls. "This is a tribute to a great football player, but a better person,'' general manager Bruce Allen said. Alstott was joined on the dais by Allen, coach Jon Gruden, executive vice president Bryan Glazer and Alstott's wife, Nicole. Alstott's No. 40 jersey was draped dramatically over the podium in the new auditorium at One Buc Place. "All I can do is celebrate a great career, an unbelieveable career, as a player and a teammate,'' Gruden said. Alstott said discussions are ongoing that will allow him to remain part of the Bucs' organization.